When a large group of individuals are injured by the actions of a person or company, the class action lawsuit allows them to pursue their legal claims even where the damages personal to each individual may be small. Because attorneys’ fees are recoverable in class action suits, litigation attorneys are generally willing to take such cases on a contingency basis. Often, large corporations with potential exposure to class action claims incorporate arbitration clauses and class action waivers requiring any claimant to seek relief via arbitration and foreclosing the class action option. Arbitration clauses are attractive to defendants, and sometimes plaintiffs, because it is faster, cheaper and more flexible than litigation. Where individual damages are small, the class action waiver most often acts as a bar to relief. From the corporate perspective, the class action waiver protects companies from frivolous suits brought by unscrupulous lawyers. Currently, the enforceability of a class action waiver under California law is unclear. One side is concerned with the protection of consumers who have little choice in most cases but to enter into whatever agreement they are presented (i.e. signing a contract with a cell phone provider). The other side is concerned with protecting the strong policy goal of encourage arbitration and reducing the pressure on overwhelmed courts. Historically, California courts have been loathe to enforce arbitration agreements that limit or waive a plaintiff’s ability to pursue a class action. Following the U.S. Supreme Court’s recent decision in AT&T Mobility LLC v. Concepcion, 131 S.Ct. 1740 (2011), however, the California Supreme Court has had to reconsider its previous attitude towards such waivers, at least to some extent. In Concepcion, the U.S. Supreme Court held that the Federal Arbitration Act (“FAA”) preempted state laws restricting the right of parties to agree to arbitration. The Concepcion Court noted the efficiency and cost advantages of arbitration over class litigation and arbitration. Significantly, the Court emphasized that contract law governs and that “the FAA requires courts to honor parties’ expectations”. Thus, the enforceability of arbitration clauses and class action waivers falls squarely within the boundaries of contract law. California courts remain reluctant and since Concepcion have looked to basic contract law to find other ways of striking class action waivers. For instance, in Sonic-Calabasas, Inc. v. Moreno (Unpublished, Westlaw 5645378 (Oct. 17, 2013), the California Supreme Court, in responding to Concepcion, acknowledged that, although the FAA preempts state law, state courts may still strike down arbitration agreements that are unconscionable. The Court explained that California’s state law doctrine of “unconscionability” can still be used to strike down excessively unfair agreements and that California courts should evaluate arbitration agreements under the totality of the facts surrounding their formation and substantive terms to determine if “the overall bargain was unreasonably one-sided.” A similar argument may be made in fraud cases – if a party was fraudulently induced into entering into a contract, he or she shouldn’t be forced to waive his or her right to pursue class action litigation. The Sonic-Calabasas Court ultimately remanded the case to the trial court to determine whether the arbitration agreement was so unconscionable as to be unenforceable. Recently, California’s Second District Court of Appeals revisited the issue in Imburgia v. DIRECTV, Inc., Certified for Publication, Second Appellate District Case No. B239361. 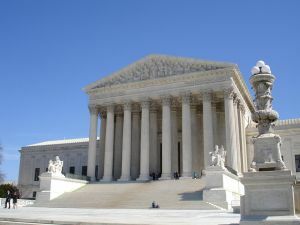 The Court held that, because the objective of the FAA is to carry out the intent of the parties, judicial interpretation of the agreement at issue may result in the conclusion that the parties intended to proceed under state law rules that allow for the invalidation of class action waivers. The Court held that, based on the language of the contract, the class action waiver at issue was unenforceable under California law, so the entire arbitration agreement was unenforceable. The fate of Imburgia is tenuous at best, but the case highlights the resistance to class action waivers especially in California. Ultimately, those in favor of enforcing arbitration clauses and class action waivers in consumer contracts may find obstacles outside of the FAA’s framework. Clearly, most consumers aren’t willingly bargaining away their rights to a jury trial and/or to pursue class action litigation. They enter into these contracts because it’s the only way they can obtain cell phone service, or cable or numerous other services. It’s hard to imagine that there won’t be a remedy available to these consumers one day. San Diego companies considering arbitration clauses and class action waivers in their customer contracts should consult an experienced San Diego Litigation Attorney to ensure that such clauses are carefully drafted to maximize the chances of enforceability.